Sweatshirts And Hoodies As Low As $21.95! Regularly $40! Shipped! You are here: Home / Great Deals / Black Friday Deals / Sweatshirts And Hoodies As Low As $21.95! Regularly $40! Shipped! 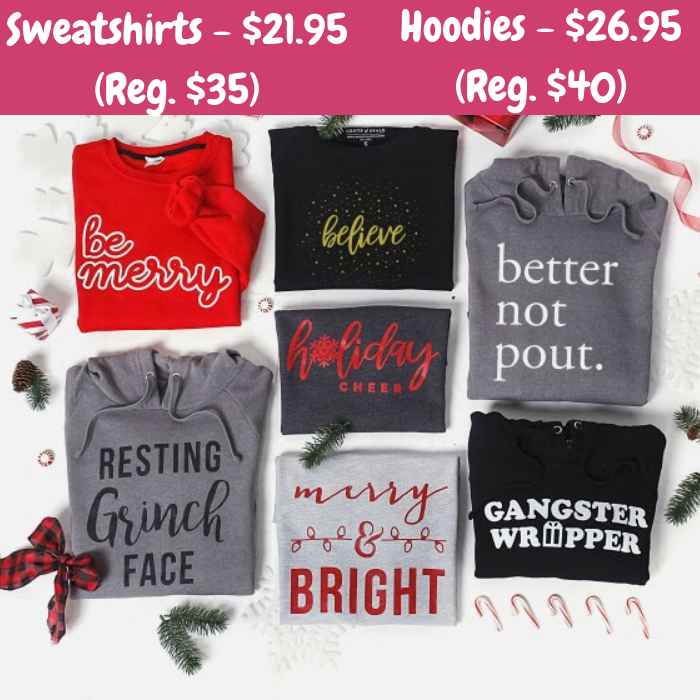 Hurry over to Cents Of Style where you can score their Graphic Sweatshirts for just $21.95 (Reg. $35) and Graphic Hoodies for $26.95 (Reg. $40) when you use promo code GRATITUDE at checkout! PLUS, it’s FREE shipping! Celebrate your holidays wearing these super soft relaxed sweatshirt and hoodies! It’s also a perfect gift idea for your friends and loved ones! This is a really great deal so don’t miss it!